The amount of heat is up to you, of course, but this upscale version of carrot soup will definitely satisfy. First up is making the homemade vegetable broth from Thomas Keller’s cookbook Ad Hoc at Home. Second is caramelizing the onions (about an hour), and then third, prepping all the ingredients and making the soup. I separated the work into two days. It definitely fell into the Slow Cooking Movement, but the resulting delicious depth of flavors and beautiful colors were well worth the effort. 1. In batches, finely chop all the prepped vegetables in a food processor. 2. Heat the oil, and cook the vegetables until they soften, about 5-10 minutes. 3. Add the bay leaves, thyme, and flat parsley and cover with water. Bring to a gentle boil, and allow to simmer about 45 - 60 minutes. Skim foam from top frequently. 4. Prepare an ice bath in a large metal bowl. Strain the cooked broth into a pot that will then be placed in the ice bath. When there is no more steam rising from the stock, put broth in containers in fridge. Will keep for up to 3 days; freeze after that. Chop herbs in food processor; add olive oil and mix well; let sit for about an hour; strain. Add 1 teaspoon herbs back in oil. Add 1 tablespoon to each bowl of soup before serving. 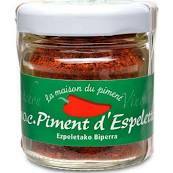 (2) Piment d'Espelette: Sprinkle red pepper flakes to taste. (3) Hatch Peppers: Roast until blackened on open gas flame on gas stove, or on BBQ grill; serve to the side. 1. In a large stock pot, cook sliced onions in heated olive oil over low heat for about 1 hour. Stir frequently. Onions will brown and become sweetly aromatic. 2. Add carrots and potatoes in pot with onions. Coat with olive oil thoroughly, and cook over medium heat until vegetables soften, about 10 minutes. 3. Add the vegetable stock, and bring to a boil. Reduce heat and cook over medium heat until vegetables soften, about 20-40 minutes. 4. Blend with an immersion blender until all vegetables are pureed (or in small batches in a blender). Thin soup with a bit of stock if necessary. 5. Add salt and pepper to taste. 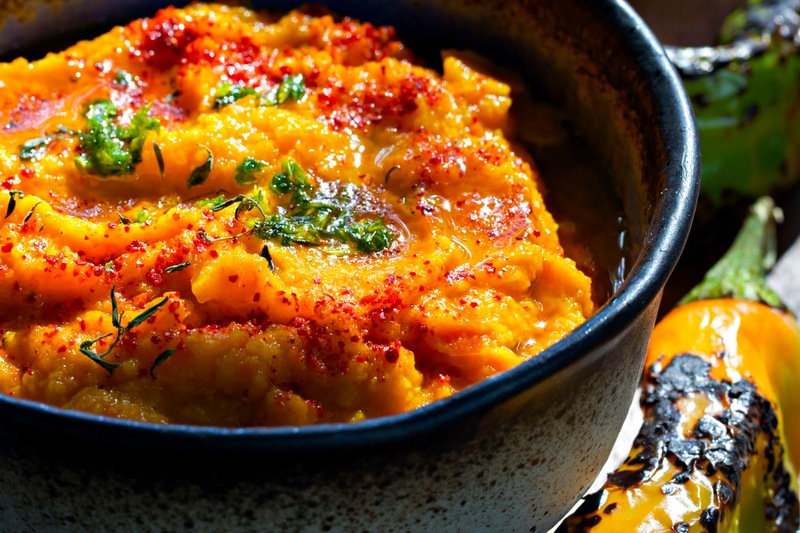 Place in serving bowls and add garnishes, or put soup in fridge to serve later hot or cold. Vegetable broth recipe from Thomas Keller’s Ad Hoc at Home. Carrot Soup recipe adapted rom The Tomato Tarte website, here.